This weekend was sunny + beautiful and we spent as much time outside as we could. I've been dying to wear something other than a winter coat + multiple layers and this weekend was perfect for it. I wore my Anthropologie smoke signs blouse that I bought a few years ago. I love this blouse because its so unique. It has a lot going on, but in a good way. 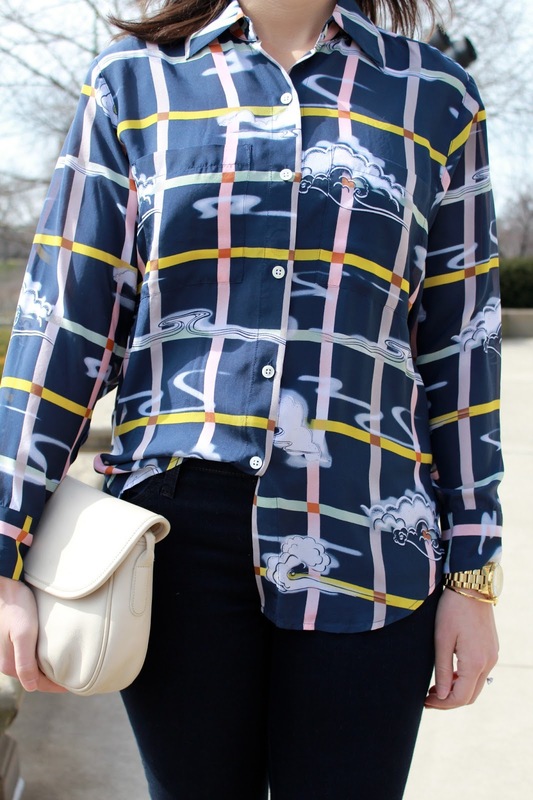 Its bright + colorful, but also has an awesome windowpane print. Did you see the recent Glitter Guide article on windowpane prints? 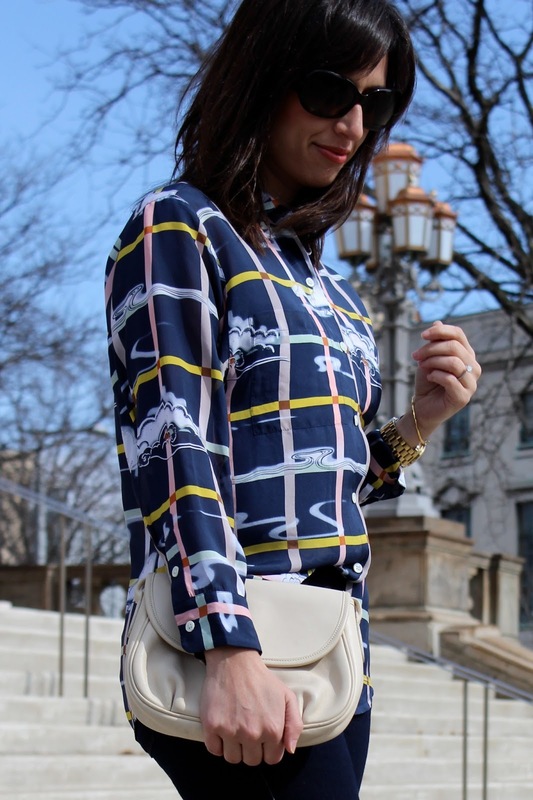 It's going to be everywhere this spring and its so easy to wear! Throw a few clouds into the mix + you're ready for a nice little Saturday. The blouse is such a lovely pattern. Your accessories are perfect :) Looks like a pretty spring day!